Born and breed in Taranaki, Carl started Sargent Building Ltd 10 years ago after returning home from his O.E. with his now wife. He trained in the building industry from the age of 17 with a local firm and spent several years with them before heading overseas. Carl is supported by a team of four, which includes two fully qualified Carpenters, one Apprentice and an Office Manager. Sargent Building Ltd delivers high quality, cost effective projects on schedule by employing and supporting motivated, flexible and focused teams. We value the importance of our relationships and will continue to remain fair and true in our dealings with all employees, clients, vendors and partners. Our clients count on our dependability, our drive, and our integrity. We take pride in our accomplishments and build on them every day. I am a creative designer, finding particularly appealing artisan craftsmanship. I enjoy working with clients existing, treasured pieces to achieve a look and feel to a space that is functional and inviting but am equality excited by a blank canvas to transform into an inviting and comfortable home. Most recently I was working as an Interior Designer/Buyer and Merchandiser at HOME Design Store where I worked for 6 years. I have completed a Diploma of Professional Interior Design and have been working for 5 years full time as an Interior Designer. With my expertise of blending and creating interiors I work with clients lifestyles to reflect their needs by listening and observing their homes and lifestyles. This can be more affordable and achievable than what you think. “Building Trust” is a nineteen year strength of Buildtech (NZ) Ltd. Dan Prestidge is the director of Buildtech (NZ) Ltd and has been involved in the building industry for 25 years. Dan started Buildtech in 1997, and has been constructing new homes in the Taranaki region to suit a vast range of new home owners. Build times are very quick, and streamlined for the ease of the client. Buildtech (NZ) Ltd is passionate about promotions. Promotions are a “Win-Win, which means the client wins, and Buildtech (NZ) Ltd wins yet another satisfied customer. Past Promotions have been: “Carpet your home for FREE” “FREE kitchen” Trust us. That’s why we are bringing this level of satisfaction to North Taranaki. I am an interior decorating consultant based in Hawera, Taranaki. I have been providing colour, style and project advice for over 15 years. Whether a single room, home renovation, building a new home or investment property or commercial property, I can help from start to finish. I like to work closely with my clients and encourage working with local businesses and tradespeople. AT GLEN JOHNS DESIGN we combine the skills, passion and creativity of innovative design creating quality award winning kitchens, bathrooms, laundries and all other forms of cabinetry within a wide spectrum of briefs. We offer a comprehensive and fully guaranteed, design, supply, manufacture and installation service. 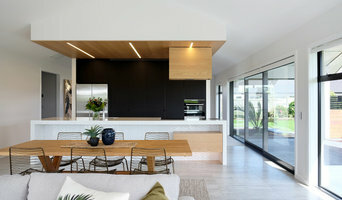 GLEN JOHNS has been involved in the kitchen industry for 26 years and is a qualified kitchen designer (Certified Kitchen Designer New Zealand). His experience and knowledge means that you get only the best advice when planning your new kitchen or bathroom along with the peace of mind of choosing a member of the National Kitchen & Bathroom Association (NKBA). WE LISTEN to your needs and discuss your individual requirements regarding your personal style and budget so as to establish a great functional design that will add lasting value to your most valuable possession. WE ARE DEDICATED to insuring you feel confident that you are in the expert hands of those with an eye for detail and a passion for creativity. THE KITCHEN is the most complex room in your home and therefore the most important to get right because you will live and work within the results for years to come. WE BELIEVE it is our attention to every detail and the level of commitment of our staff that has been and will continue to be, the key to our continued success. 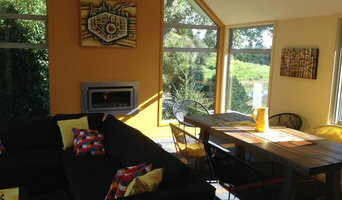 Michael Mansvelt Design is a provincial design firm specialising in small and large scale residential design projects. Our belief is a life lived well is a life surrounded with great design, from our homes and gardens to the pieces we buy to furnish them. We believe that knowledge and experience must be married with flair and creativity to achieve cohesion. Our goal is to create spaces that are beautiful, practical, timeless and inspirational to all who enjoy them. 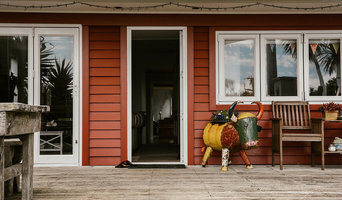 Gareth Collins Building LTD is a locally owned and operated building company based in New Plymouth, and build Taranaki Wide. LOWE Furniture creates beautifully designed custom furniture. Every piece of wooden furniture is made with care to exacting standards by our team of passionate furniture makers who take great pride in seeing a piece to completion. We work with private clients, architects and interior designers, producing skillfully manufactured furniture in a range of materials, timbers and finishes with careful attention to our client's particular requirements. Through our work and our people, we prioritise human experience –improving the environments we inhabit and how interactions take place. When you choose Kitchen Designz to work with you we make a personal commitment to help you every step of the way. We are there to guide your decisions in design, to help select the best materials available and then produce your kitchen in our New Plymouth Factory. Once installed, we will arrange to visit and inspect it with you to ensure that your experience with us is the very best it can be. 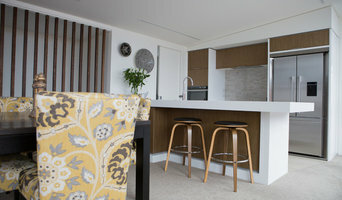 Kitchen Designz detail and build kitchens for the design savvy private customer, the independent Kitchen Designer and transported Flat packed for Joinery Manufacturers and Building Companies around the North Island of New Zealand. From great value Economy through to Highly Specified options we have had the pleasure to supply many clients regularly for over more than two decades. We are proud that our commitment to design and quality along with in-depth knowledge of the latest systems and technology has placed our reputation at the forefront of the industry. Reach out to multiple professionals — especially for larger projects — and don't settle for the first bid you hear. Comparing multiple Hillsborough professionals' bids and experiences can help you find the one that’s best for you. Ask a lot of questions now, so you won't have unexpected answers later. Find a home design professional: Narrow down your search by type of professional and location. Browse Hillsborough portfolio photos, read client reviews and contact each Hillsborough professional for more information. Check out the information in the specialised professional sections too for tips on how to hire the right professional in Hillsborough for your project.